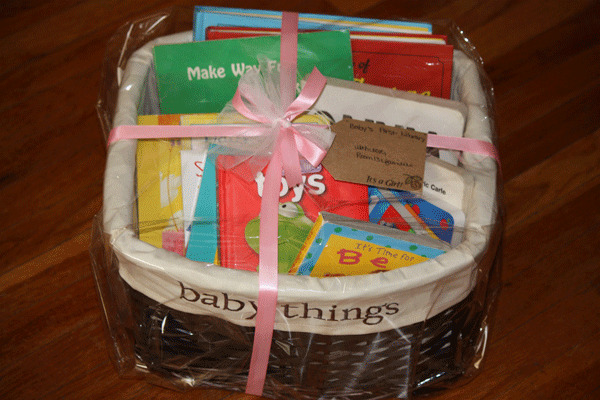 For the past couple of weeks I’ve been coordinating and preparing for a baby shower for our Kindergarten teacher. 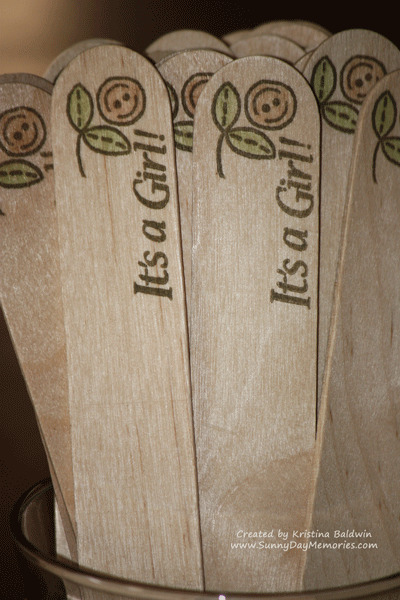 She is expecting her first child…a little baby girl. 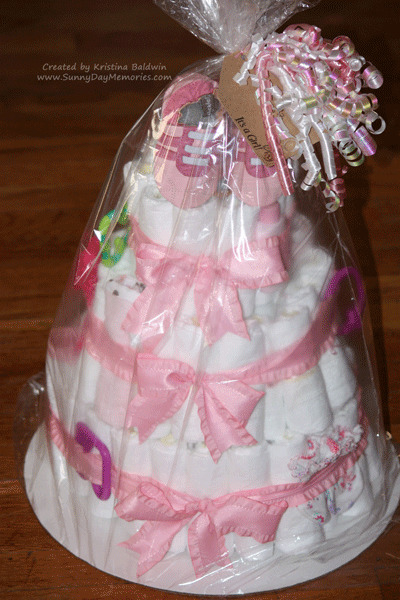 The first thing to do was to make the classic gift…a Diaper Cake! We were able to get several of the smaller items on her registry to include in it. She loved it! Then we got her several books to start “Baby’s First Library.” Since she has been open to receiving gently used items, we had a great time being able to maximize our budget by getting both new and gently used books for her. 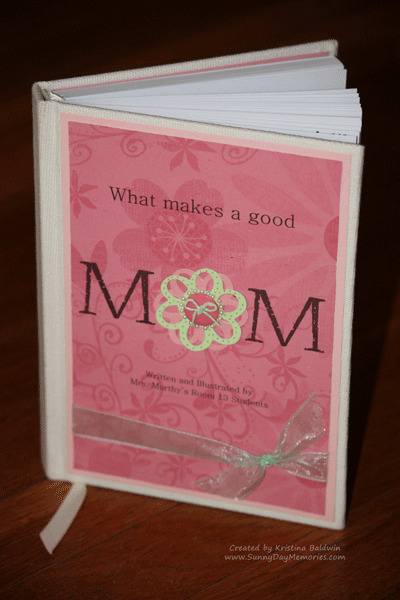 It was important for us to include her students in this exciting time/event so I came up with the idea to have the children contribute their words of wisdom on what makes a good mom. Not only did I have them write their sentiments/thoughts but I also had them illustrate them, too. It was positively priceless to see the completed book! It was also heartwarming to see how special the book and it’s sentiments were to her. 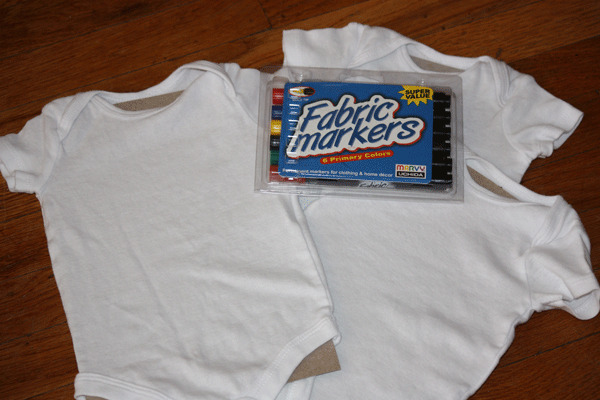 At the shower, we had onesies with fabric markers for the children to sign and decorate for her. It was fun to see them all take part in the activity. If you are going to do this–don’t forget to use an insert so the markers don’t bleed through! 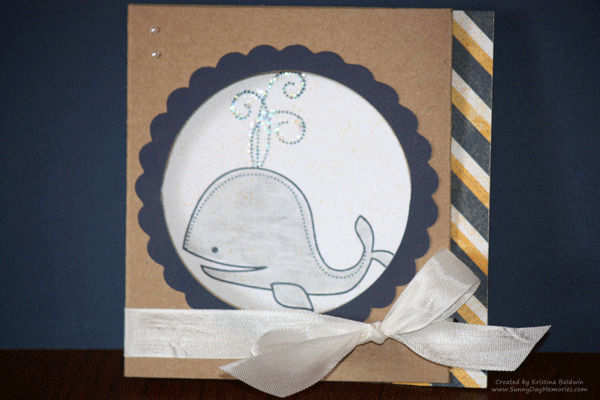 Since we had an activity for the children, why not have one for the adults, too! 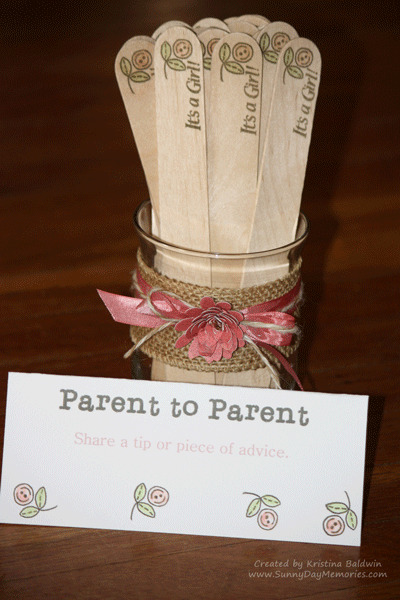 I stamped up some wide popsicle sticks along with a little note for parents to share any tips or advice they could with the soon-to-be new mom. It was a great success! Finally, the Black Bottom cupcakes I made for the event complete with little toppers made from the Cricut Artiste cartridge. It was a really fun and special event for all–even the kids. 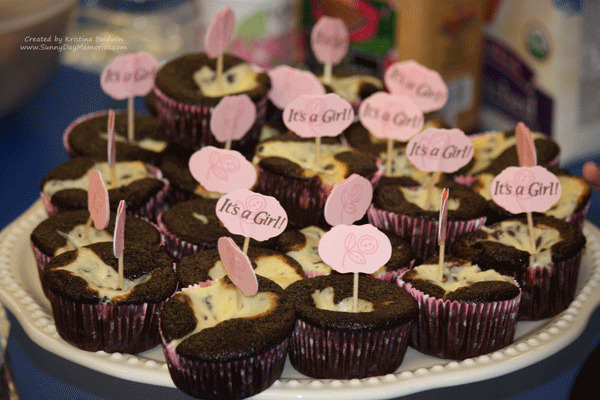 It was so endearing to hear my son say to another mom that this was his first baby shower–too cute! 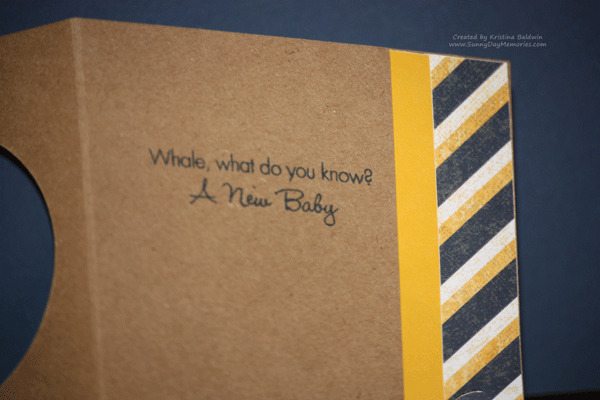 One of the *NEW* stamp sets in Close To My Heart’s Spring/Summer 2013 Idea Book is called New Baby. It is absolutely adorable!! 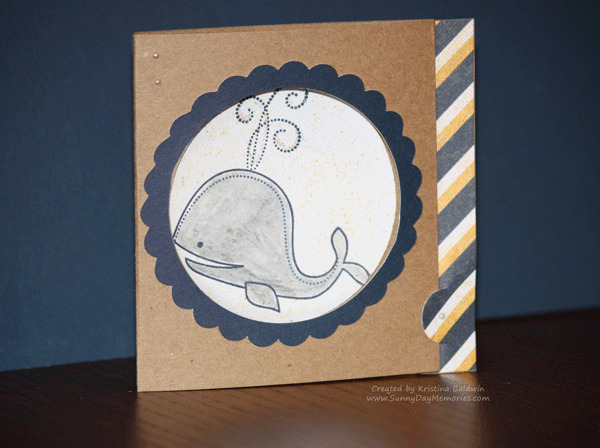 I made this fun tri-fold card using this stamp set along with the *NEW* Tommy Paper Collection and a little help from our Cricut Art Philosophy cartridge. Love the sentiment in this set. But even without the cute sentiment, this set is a ‘must-have’ for all baby’s first moments! 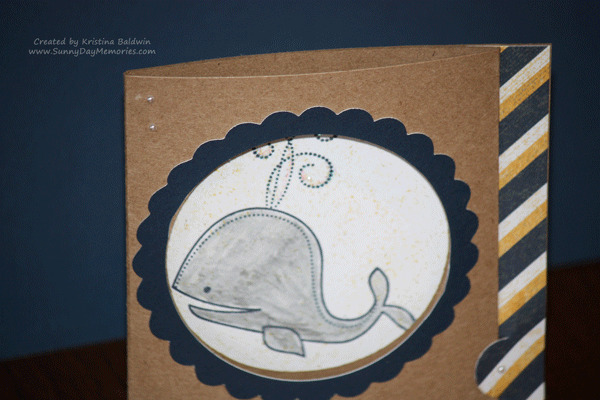 And if you want to take the card up a notch, punch a hole in the flap (instead of using a decorative item like I did with the Bitty Pearl Opaque in my earlier one) and add a ribbon tie around the card to keep it closed. This past weekend some CTMH Consultants and I were sponsoring a booth at the Pleasanton Harvest Festival’s first ever “Crop and Shop” Scrapbooking Feature. 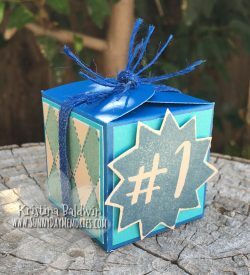 We were demoing our awesome new Art Philosophy Cricut Cartridge and came up with a few fun twists by thinking outside the box! 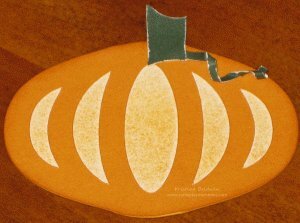 This pumpkin is made from the Christmas ornament image with the top and bottom tip rounded out for the pumpkin. And the stem is from one of the holly leaves–just creatively cut to resemble a stem. So I guess you could say there are 702 images now that you can create with our Art Philosophy Cricut Cartridge! How many more can you create when you think outside the box? I’m finally home from what some might call the ultimate vacation…first Disneyland for CTMH’s Annual Convention followed by Las Vegas for my sister’s wedding and the first thing I want to tell you about is CTMH’s *NEW* Cricut Art Philosophy Cartridge! As someone (there may only be a handful of us left!) who didn’t previously own a Cricut, I’m SUPER excited about this. While I could go on and on about all the cool things this new Cricut Art Philosophy Bundle (available August 1st) can do, I think I’ll let this video created by Close To My Heart do it for me.